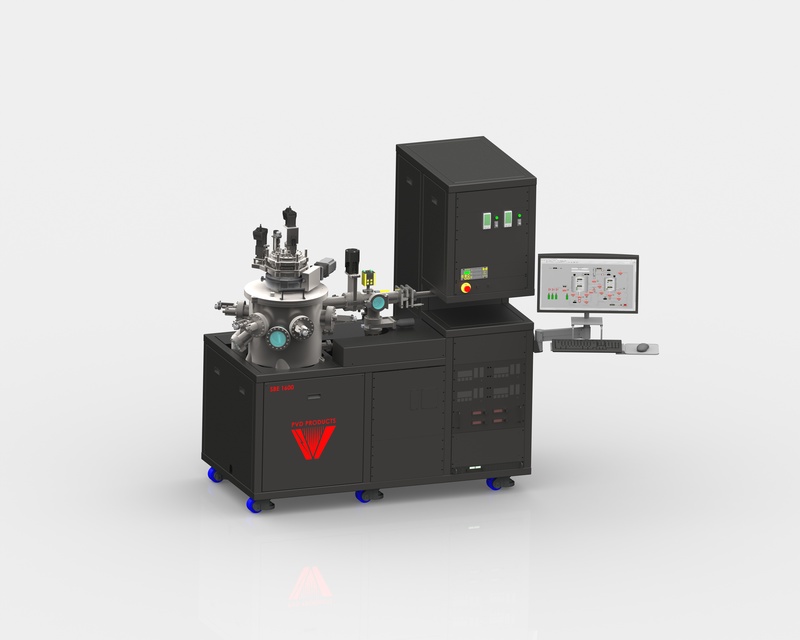 PVD Products provides innovative off-axis sputtering systems for the growth of epitaxial thin films. This low-cost, versatile system produces films of quality rivaling MBE and PLD. At the same time, it offers the simplicity of operation as any other magnetron sputtering tool. The innovation arises from the patent-pending off-axis geometry which uses unique low-pressure conditions and (optional) pressed powder targets to achieve single-crystal growth and accurate film stoichiometry. The system can include up to six off-axis magnetron guns and three confocal magnetron guns (for doing standard sputter deposition). The 2” guns can be swapped between these two orientations, for maximum flexibility. Power supplies for DC and RF deposition are available. Substrate sizes up to 1” square can be utilized. The process gas delivery system is designed to allow a wide range of oxygen partial pressures for the ideal growth of oxides. The available UHV option allows deposition of high purity metallic layers. While the technology is innovative, the results are proven. The method, developed at The Ohio State University, has been utilized successfully for almost ten years, to provide crystalline epitaxial films of a variety of materials, including perovskite oxides, magnetic garnets, intermetallic compounds, and other materials. Over forty articles have been published, many in high impact journals, verifying the quality of the films and supporting fundamental discoveries. Learn more about the development of this technology. 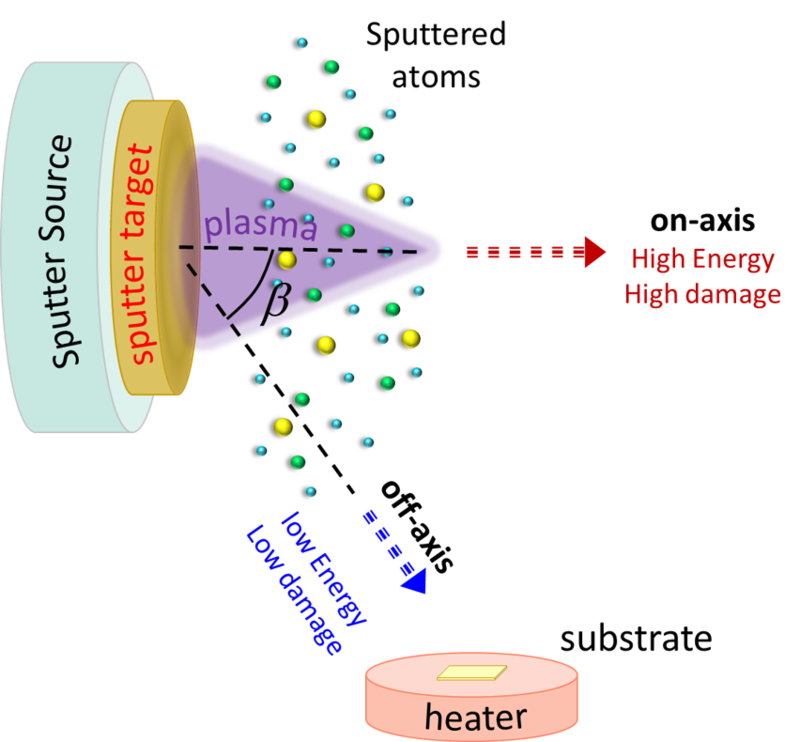 By capturing the lower energy off-axis emitted atoms an epitaxial film can be formed. In addition, the use of pressed powder targets homogenizes the composition of the film across the substrate. Do you know the specifications you need to reach? Contact us to discuss a custom system.